Raise your hand if you didn't realize that this Sunday will be the season finale of Showtime's Ray Donovan. Seriously, either I dismissed this devastation or I completely forgot. This season went by way too fast, especially considering all the questions I still have (Who will win the the eternal Ray versus Mickey battle now that it's reached a fever pitch?). 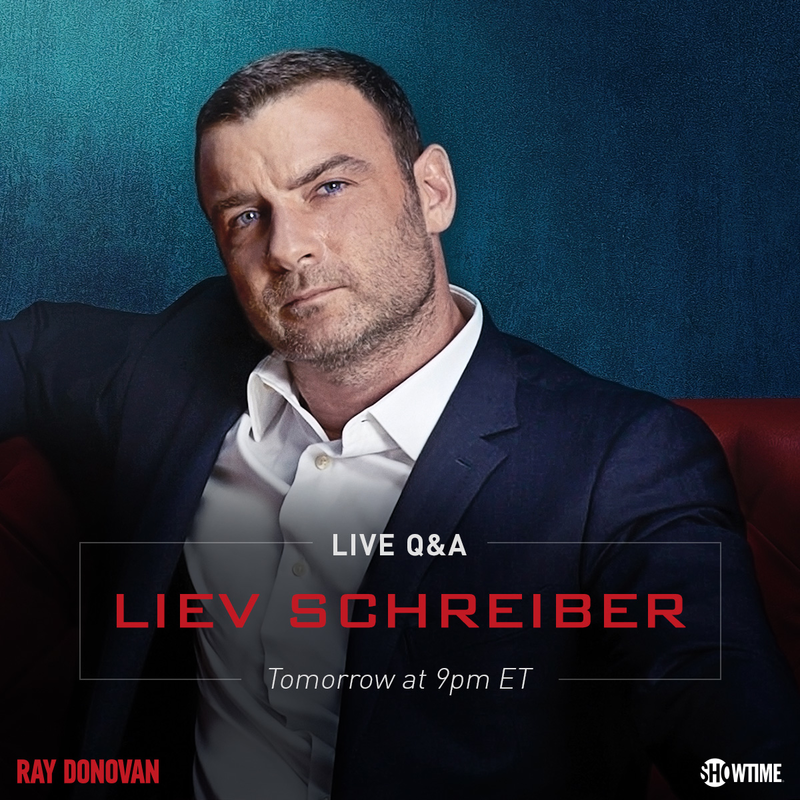 But before we find out what's in store for what is sure to be an exciting season finale, titular star Liev Schrieber will answer your burning questions tomorrow, September 25th, at 9pm EST during a live Facebook Q&A on the Ray Donovan page. So get your questions ready and don't miss this rare opportunity to chat with the Golden Globe-nominated actor (and perhaps get some insider details on the coming finale)!